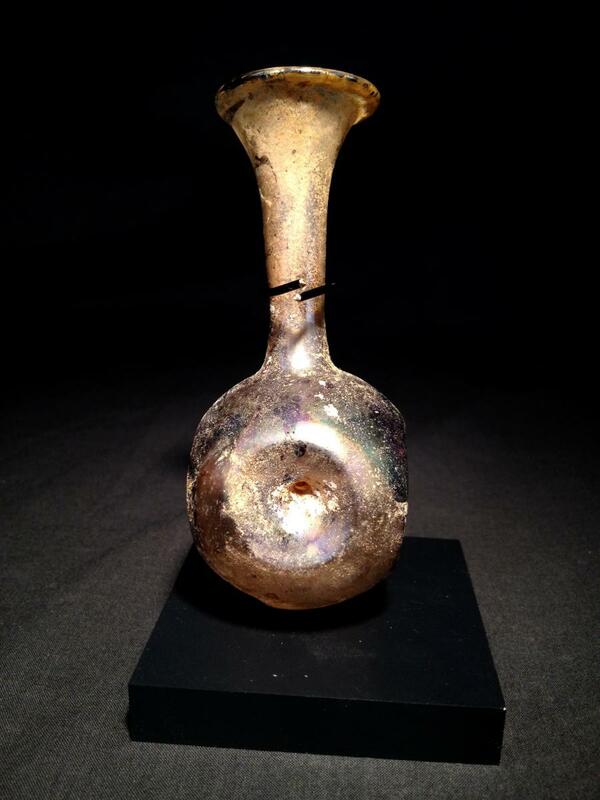 4 unusual dimples around the circumference of the body with bulb on the bottom. 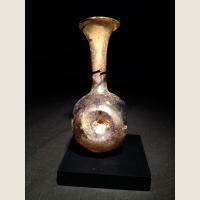 Looking inside the vessel from the top, one can see the sharp cone points almost touching in the middle. 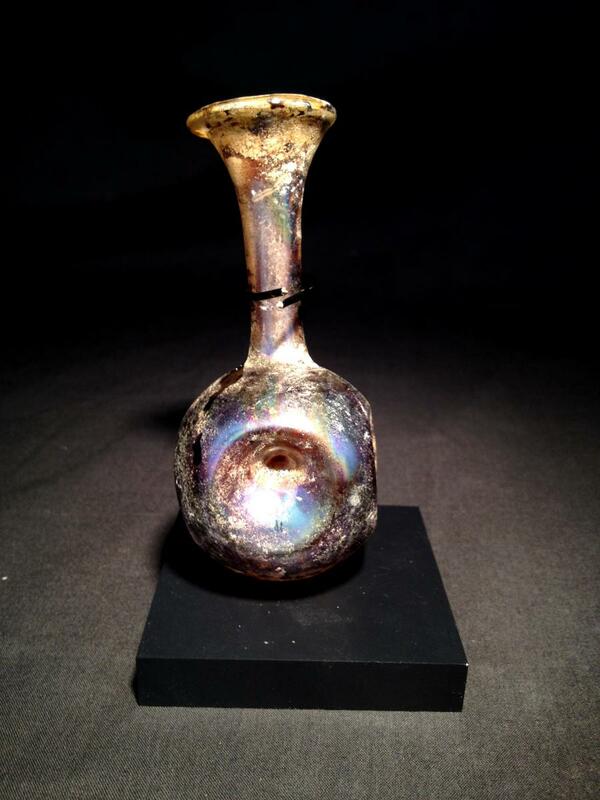 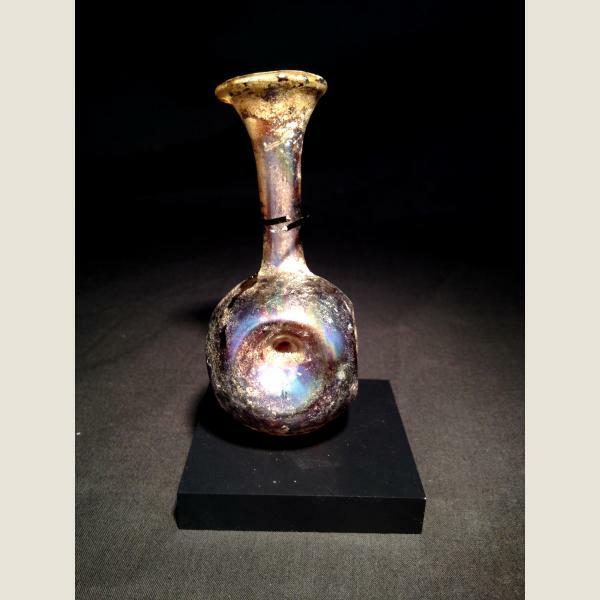 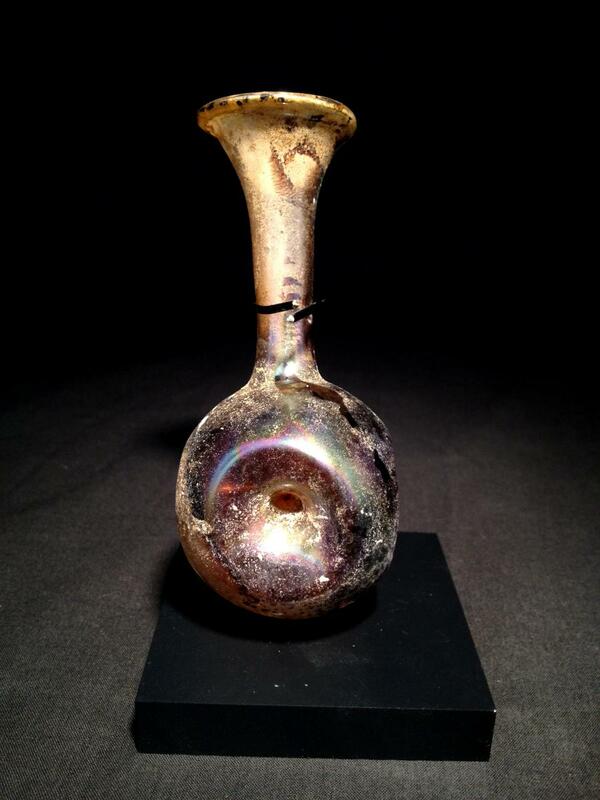 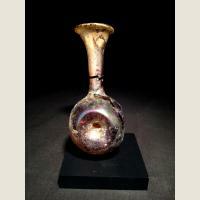 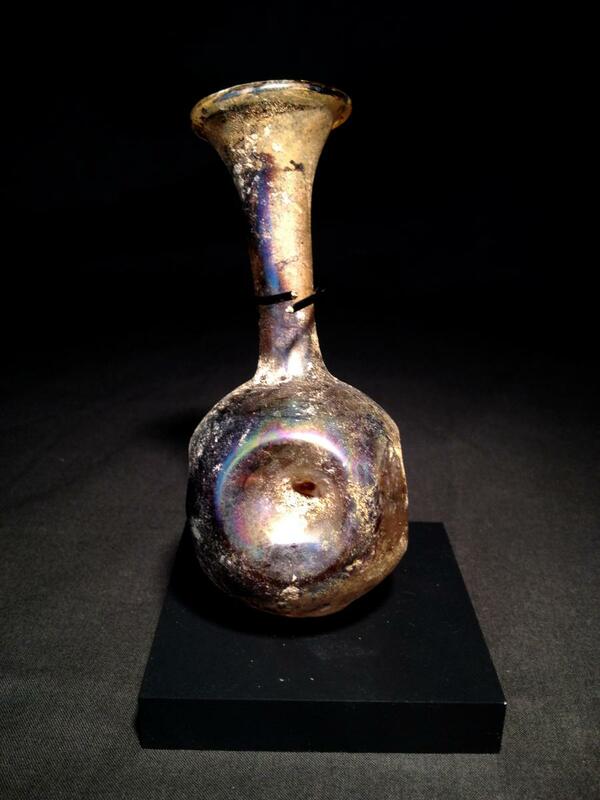 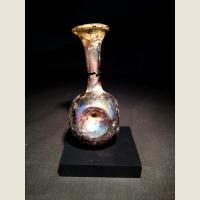 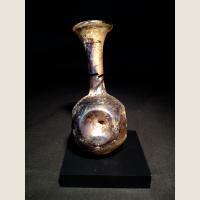 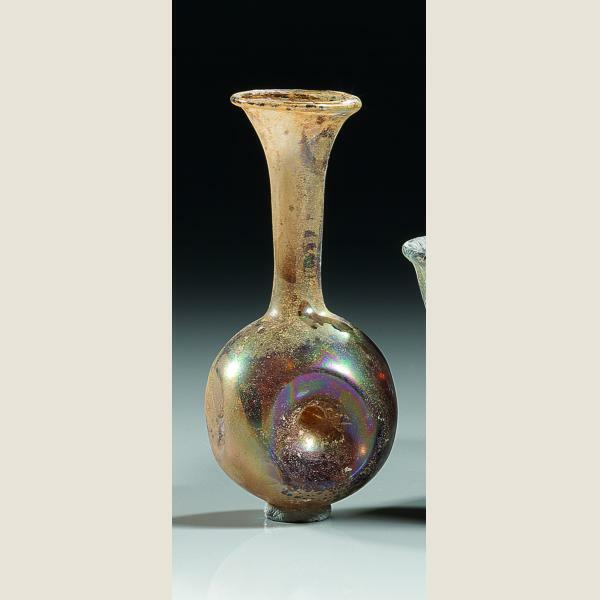 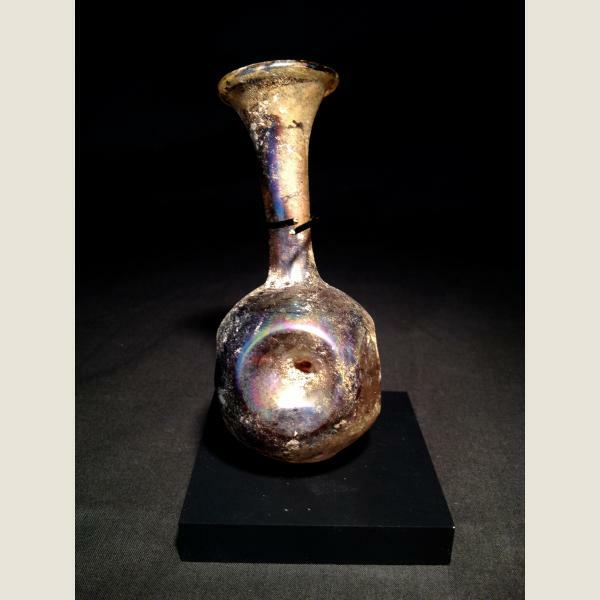 An extremely rare and interesting example of ancient glass artistry.